Embracing Culinary Diversity In BALI! HomeArticleRestaurantsEmbracing Culinary Diversity In BALI! 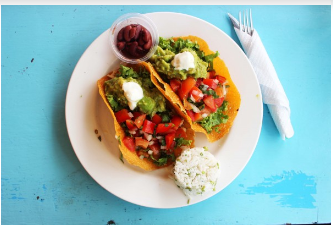 hole-in-the-wall local food that you can find along the streets of Ubud to restaurants offering all kinds of cuisines and a spectacular view, it is safe to consider Bali as an extraordinary foodies’ haven. Now we know that the Balinese culinary industry is made up of cuisines from all over the world, but when you come to think of it, how does the local food scene correspond to the rise of Western cuisine on the island? To answer this question, let me begin with specifying some of the local food you’d totally want to dig in to. This is arguably the most popular and iconic Balinese dish. I can see why. Every bite of it is a party in your mouth. 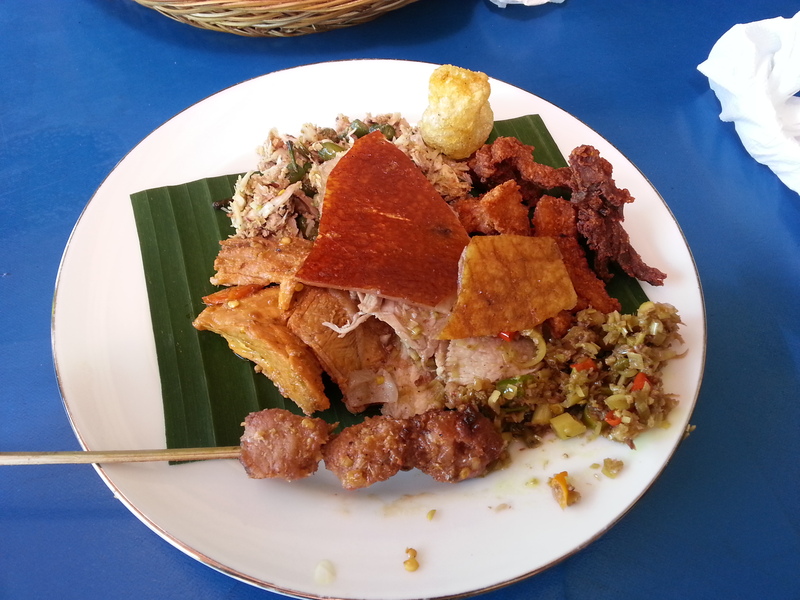 It is a roasted pig infused with various traditional Balinese spices, such as turmeric, lemongrass, and of course, chili. Generally, for local tourists, this dish remains as one of the most awaited ones when they happen to visit Bali for a getaway. In Bali, you can find more than one place serving babi guling within only a few kilometers away. Babi Guling Pak Malen is among the most favorite ones. Crispy skin, tender and juicy meat, and flavorful mixed veggies. I’ve always loved having an early lunch here. Why early? Because it gets packed by afternoon. It’s so popular among local tourists. For most tourists, when they are in progress of constructing their Bali itineraries, devouring the superb seafood in Jimbaran is undoubtedly on top of their lists. Until today, Jimbaran remains packed every single day with seafood lovers from all around the world. 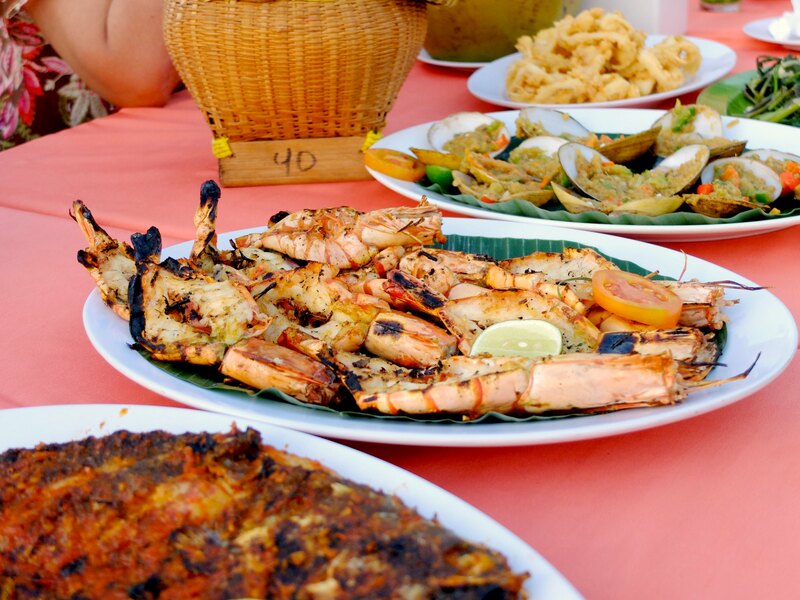 Beach-side restaurants occupy the coastline of Jimbaran beach, serving a various selection of fresh, delicate seafood, including lobsters, clams, shrimps, squids, and lots more. Cooked to perfection in the traditional way, using secret sauce that undoubtedly contains Balinese chili, it surely is addictive. Don’t forget to pair your delicious seafood dinner with some fresh coconut water. It would be one of the best dining experiences yet. If you admit that you’re a spicy lover, test yourself with this popular Balinese food. It is usually steamed chicken or duck cooked with (super spicy) chili peppers and coconut. It is also stuffed with a lot of traditional spices. It is that special that it takes 24 hours to cook. Until now, a lot of tourists enjoy the taste of authenticity in this dish. 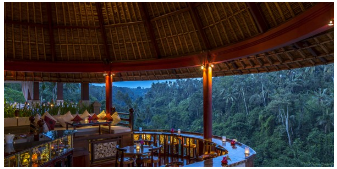 It is a dish like no other–original Balinese food at its best. If you’re not that familiar with this dish and looking for a good place, try Ayam Betutu Khas Gilimanuk in Tuban area. You won’t leave this place feeling unsatisfied. It is truly spicy, original, and flavorful to bits and pieces. You know that burgers, French food and Italian food are ones of the best cuisines in the world, and that good stuff is taken to the next level only in Bali. 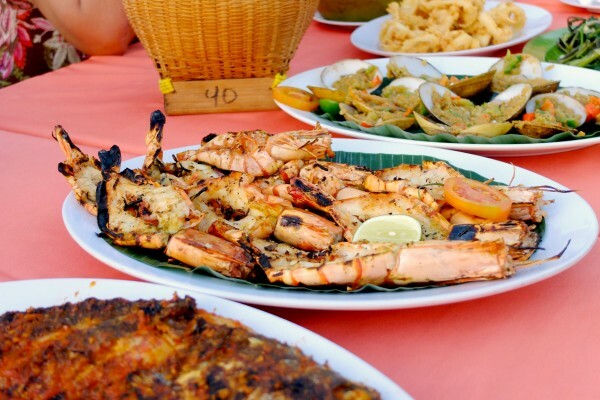 Other than a selection of scrumptious local dishes, in Bali, you can also enjoy diverse kinds of Western cuisine. Whether you’re on a super saver budget or craving for some fancy atmosphere, they’ve got you. 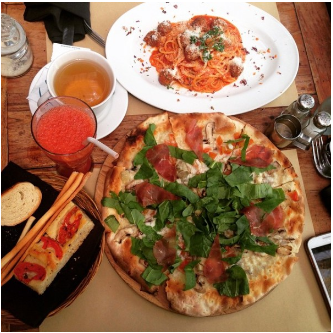 Bali is the home of delightful Italian cuisine priced at reasonable rates. Even though the prices are relatively cheaper compared to those Italian places in Jakarta, you can taste pure authenticity in every bite. Looking for a romantic venue with delicious food and reasonable prices? It doesn’t only exist in your dreams. Experience what Ultimo has to offer and you’ll come back for more. There’s plenty of authentic American dishes that you can find in Bali, for example, everyone’s favorite, burgers! Burgers in Bali are as juicy as those you can find in many Western countries. Good news is that fantastic burger joints keep opening in Bali. Can’t wait to indulge myself in one of these succulent burgers topped with melted cheese and the almighty BACON! Hong Kong’s infamous burger join, The Butchers Club, has just recently opened on the island and it totally will be the next most hyped thing in town. Wanna see what it’s like to have French food taken to the next level? Bali has the answer. Many of the top French restaurants in Bali got their ingredients and appliances directly from the country. One of the best French restaurants in Bali. First of all, the ambience makes you feel dreamy. It’s THAT charming. Secondly, the food is mouthwatering–the taste is so pleasantly good, and finally, the service is top notch. 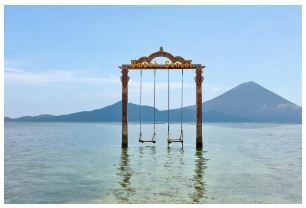 Bali has something precious that the capital city doesn’t really have. Where in Jakarta can you find legit Greek food? In Bali, Greek food is something people always long for. The authenticity is top notch. Have an amazing Greek dinner experience at Slippery Stone. They only use the best ingredients from all around the world to produce ones of the tastiest Greek dishes in the country! The ambience of the place is also like no other. Romantic yet casual. Perfection. The Japanese dining scene in Bali varies greatly, from the affordable ones to the fancy ones. So, whatever your mood is, you know you can find the perfect Japanese restaurant for you. Even though it varies, the authenticity of the dishes from every restaurant is still well-maintained. 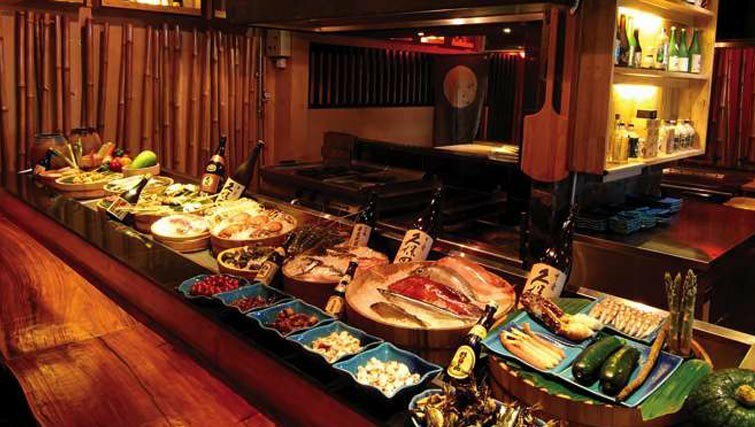 Everything is Japanese food at its best, served fresh live in front of your eyes. The atmosphere makes you feel like you’re really in Tokyo. If you’re looking for a satisfying Japanese meal when you happen to stroll around Kuta area, don’t forget to stop by Take Japanese and you’ll see why it continues to be the best in town! As you can see, even though there is a various selection of Western cuisine in Bali (what’s mentioned above is just a glimpse! ), the local food scene is never forgotten. In fact, it is always embraced. The variety of legitimately authentic spices and the delicate taste of Balinese local dishes will never get old. On another note, you don’t need to go far away to other countries to taste a real juicy burger or delicioso pizzas. The diversity of Western delicacy in Bali is top notch, from the very affordable ones to those with fancy plating and upscale prices. The post Embracing Culinary Diversity In BALI! appeared first on Qraved Journal.